LEXINGTON, Ky. (Feb. 12, 2019) — As the first African-American student-athlete to graduate from the University of Kentucky, it wasn’t uncommon for Jim Green to face open hostility at times. But Green outran hate and created a legacy that UK honored earlier this year by naming its season opening track meet for him. The competition was held Jan. 11-12 inside Nutter Field House. He was the first African-American student-athlete at UK and first in the Southeastern Conference to win NCAA and SEC Championships. 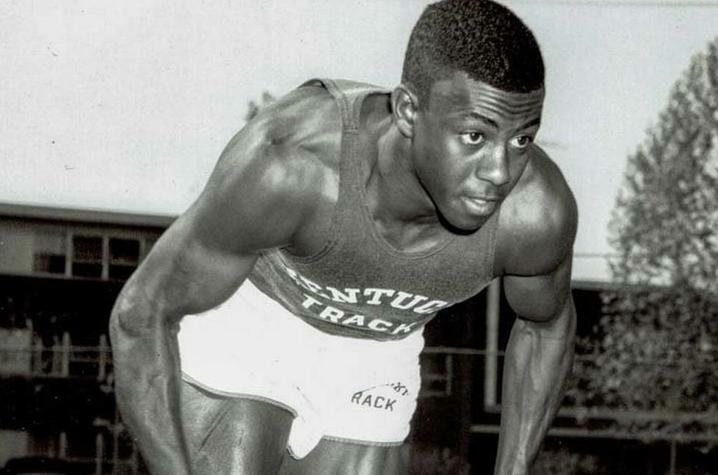 Green also was the first UK African-American to serve as co-captain on the track team and in December 1971 became the first African-American student-athlete to graduate from UK. He succeeded at the highest levels of collegiate sports. He was a three-time NCAA champion, winning the indoor 60-yard dash in 1968 and the 100-yard dash in both 1968 and 1971. He earned All-America honors six times and won eight SEC individual events, including the indoor 60-yard dash (1968, 1971), outdoor 100-yard dash (1968, 1970, 1971), and outdoor 220-yard dash (1968, 1970, 1971). "Mr. Green blazed a courageous path of opportunity for so many who followed him, including our current team,” Coach Greene said. You can listen here to an interview with Green, as part of the African-American Oral History Project in UK Libraries' Louie B. Nunn Center for Oral History.